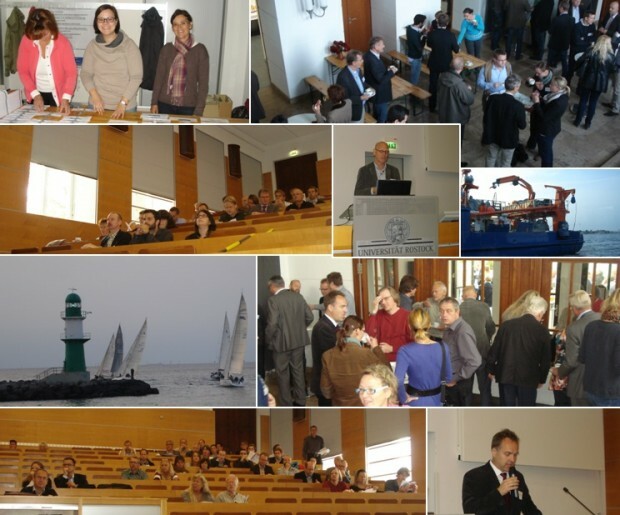 The dredged material seminar which took place in Rostock, 24 to 25 September 2014 was again a great success. This conference is an established event and is organized by the Steinbeis Transfer Centre of Applied Landscape Planning under the auspices of the technical committee on dredged material of the HTG (German Port Technology Association) and the University of Rostock. The conference addresses scientists, authorities and industries and brings together the different scientific fields to develop the German dredged material management efficiently and sustainably. The lectures cover the most recent research and development in the field of dredging in Germany, however, brainstorming and discussion of the different aspects of the dredged material management are equally important aims of the seminar. This year over 100 participants mostly from Germany were also informed about the application of dredged material in dike construction with lectures from Rostock, with the latest news from the EU project DredgDikes.